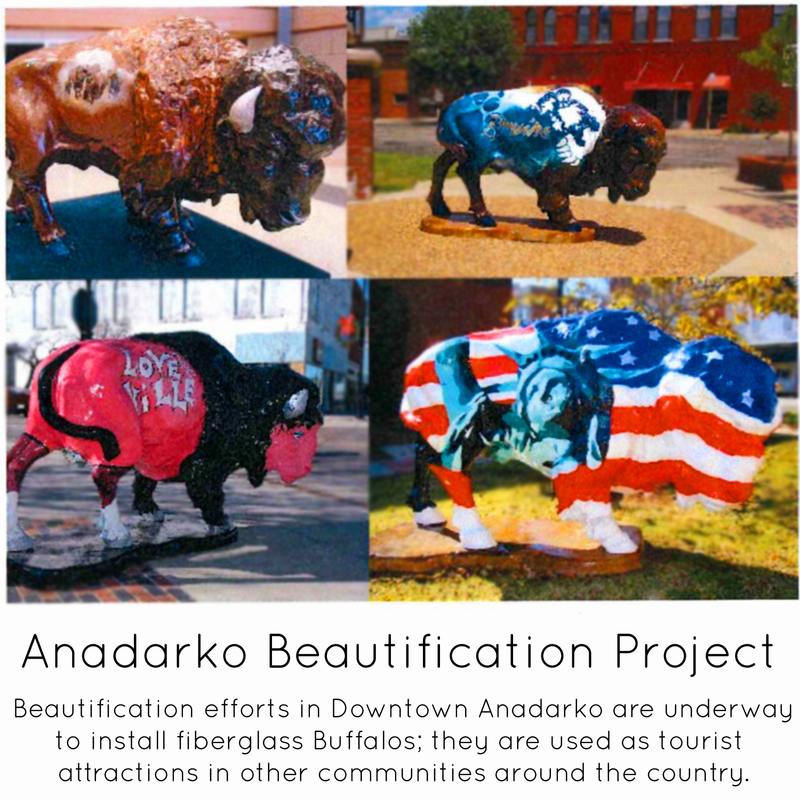 Just one community beautification project, such as the Buffalo or new park benches, generates positive publicity for Anadarko. You want your community to be looking good, don’t you? A pleasant community appearance adds to home values, helps attract business investment, and just improves the neighborhood reputation. Research shows that beauty is one of the top three factors in creating community attachment, or loyalty, to your particular town or city. Some research even indicates that an attractive neighborhood may lead to better behavior.